Intelligent material that is rendered unfocused. 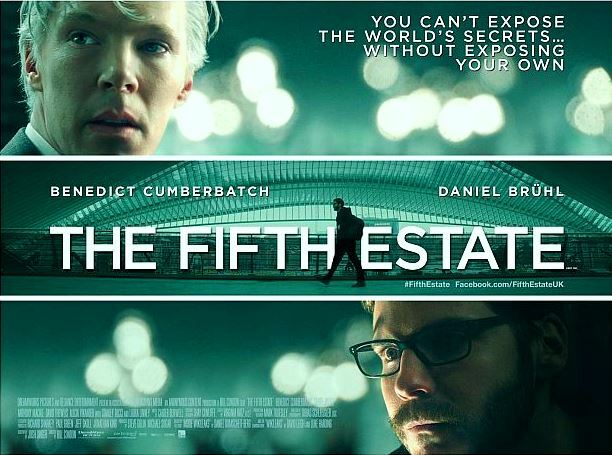 The Fifth Estate has remarkable pieces, containing heady dialogue and sometimes provocative subject matter that thrusts into the start-up of WikiLeaks founder Julian Assange, but it is too jumpy and rattled to settle for one idea at a time. This isn’t a poorly directed film by Bill Condon (“Dreamgirls”), it is simply an over-directed film. It jerks your head endlessly with multiple agitprops, and even though there was some cool information in it, the result of putting up with it is tiring. Case in point: Text on computer screens isn’t shown in static shots, but dizzying handheld shots that have you reading left to right, or right to left, with no consistency. The actor playing Assange is the fearlessly jerky Benedict Cumberbatch (“Star Trek into Darkness”), who is a tall Australian, white-haired, pale, impassioned yet fakely emotive, and eventually, an arrogant hypocrite of his own oath. The Cumberbatch performance is commendable, nothing wrong with it – but he is such a righteous bore that after awhile you can’t stand the character. 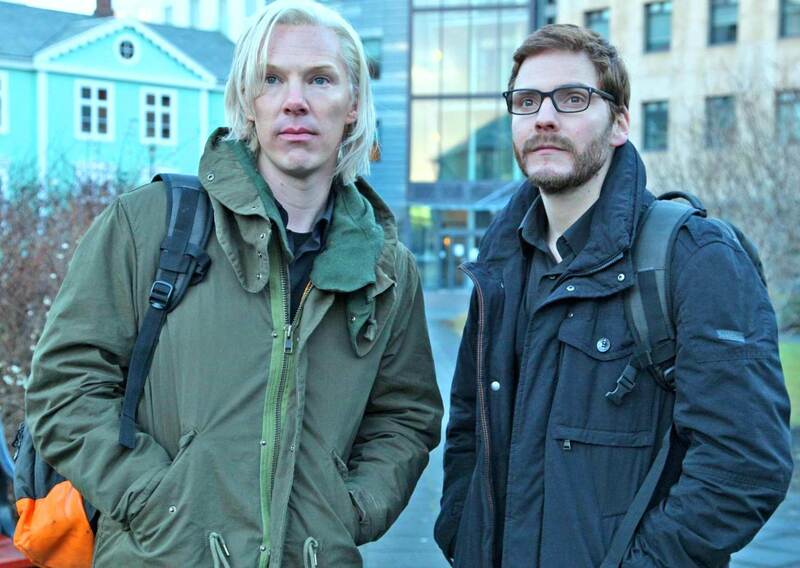 For a more temperate inclusion into the film is Daniel Bruhl (“Rush”) as the computer whiz and PR expert Daniel Berg. Of the two of them, Berg is less likely to have Asperger’s Syndrome or Borderline Personality Disorder. A babe girlfriend (Carice van Houten) reaffirms Berg is fairly normal. Part of the scheme of WikiLeaks is to make the website, a free speech haven to promote whistleblowers on politically important subjects, appear as if there are hundreds of staffers manning the keyboards. There aren’t. And yet WikiLeaks spread so fast that it became a threat to United States National Security and generally worldwide espionage. Along the way, Assange exposed corruption inside a Swiss bank, helped liberate democracy in Kenya, released a hidden video that revealed two Reuters journalists being assassinated by U.S. troops, and tons of other stuff. So much other stuff, we are not sure what some of the characters are talking about in some moments – is it the old thing or are they talking about something new? You also get scenes with Laura Linney and Stanley Tucci as members of the U.S. cabinet, but are we supposed to know who they are? I guess that matters second, when there is so much expository dialogue being shelled at us. We hear from those characters, and from Berg’s expressions of doubt, that the free unabridged information and secret documentation published on WikiLeaks was sometimes threatening (on a circumstantial level) to individuals. Assange endlessly goes on B.S. rants on the importance of free speech at the expense of innocents. Film Cousins: “Lenny” (1974); “All the President’s Men” (1976); “Shattered Glass” (2003); “The Social Network” (2010).